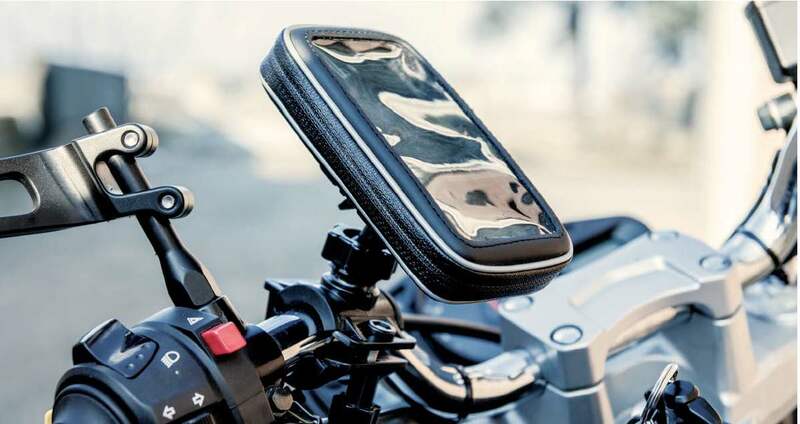 Over a year ago Midland introduced 9 motorbike holders for smart phone or GPS. Now Midland added 2 more versions, one for iPhone-6 and one for iPhone-6Plus. “Starting from today fixing your smartphone or your GPS on the handlebar of your ‘two wheels’ won’t be a problem anymore! Midland introduces a new complete line of water resistant holders to protect your devices – your travelling companions! – from rain, mud and dust. Either you have a GPS or a smartphone it doesn’t matter: Midland places at your disposal 11 different models! All these models are supplied with a water resistant holder and two different fixing systems for tubular and non-tubular handlebars included in the packaging. The only universal fixing systems on the market! The holders are made of sturdy material and the wide display is touch screen, to allow the use of your devices during your ridings and in any weather condition! Their installation on the handlebar is very simple thanks to the supplied adjustable bracket that can be rotated 360°, so that the screen is always at your visual angle”. 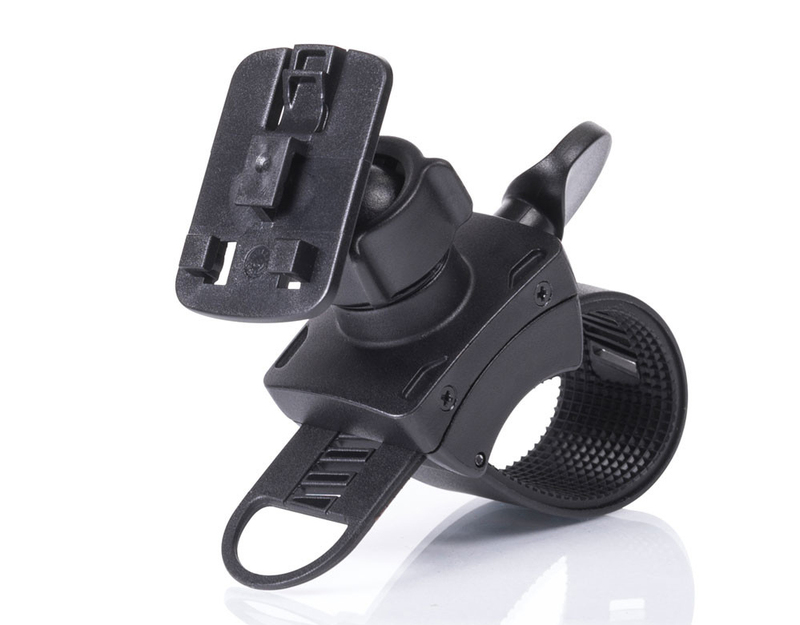 For those riding any kind of (motor)bike these holders can be a valuable protection of their GPS or smartphone. This entry was posted in Midland, Motor Rider / Ski Communications, Scanners / Receivers / Software, Telecom and tagged bike, gps holder, gps protection, midland, motorbike, smartphone holder, smartphone protection. Bookmark the permalink.